Hanshi Marilyn Fierro is a 9th Dan under both Hanshi Nick Adler and Grandmaster Uezu in Okinawa. She has trained with Hanshi Adler, (10th Dan under Grandmaster Angi Uezu and recognized by Grandmaster Harold Mitchum), since 1974. Sensei Marilyn Fierro began teaching in 1976 and she opened the Smithtown dojo in 1978. 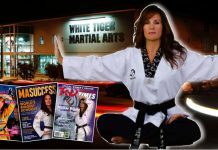 Sensei Marilyn Fierro teaches and lectures at local schools, health clubs, camps and for various organizations. She is a writer. Over the years her articles have been published in Black Belt, Official Karate, Action MA, MA Weapons, Samurai, and Isshinryu magazine among others. Through her studies with Master Adler, she is well versed in both Isshinryu Karate and Kobudo (Weapons). She is also a member of AAU, USA Karate, OIKKA, and the IWKA. She holds the rank of Black Belt in Kobudo with IKKF and the OKKF. She is a diligent student as well as instructor and attends many seminars, cross training to enhance her own art. In August 1992 Sensei Fierro attended the Junior World Maccabbi games as coach for the Suffolk delegation. Organizing the event on Long Island in 1995. She is an Internationally licensed Instructor, certified coach, and a sought after Referee for tournaments. Her innovative approach to Women’s Attack Prevention has brought much local publicity. She and her demonstration team starred on the Lois Wright show in Easthampton earning an award as an educational film. Her other accomplishments include a 6 show Attack Prevention series called In Your Interest with Dave Porello of Channel 67 (Cable 24) Smithtown, she starred with Pam Greene on Women in the 90’s, was featured on News Cable 12, has Co-produced an instructional video with B.O.C.E.S intended for use in Long Island schools, and is the Producer of the TV show Taking Charge, which aired Thursdays on Cable 20 at 9:30 PM. Shows are available for sale. She was inducted into the World head of family Sokeship Hall of Fame as Master Instructor in September 1996. In April 1997 she was the second woman ever to be inducted into the NY Jewish sports Hall of Fame and the first Karate-Ka. Inducted into Don Nagle’s Hall of Fame September 1997. On July 31, 1998 Sensei Fierro was the first woman to be Inducted into the Isshinryu Hall of Fame. May 1, 1999 Sensei Fierro was inducted into the OIKKA Hall of Fame (Master George Iberl & Master Angi Uezu) June 2008 received the Don Bohan Award based on what he said prior to his passing in 1998. 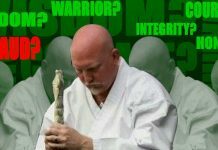 July 8, 2008 KIAI association “Legion of Honor” Daytona, Fla. On May 1, 2010 Kyoshi Fierro was inducted into the Just For Champion’s Hall of fame on Long Island as an “Original Pioneer of Martial Arts – Platinum Warrior Lifetime Achievement”. 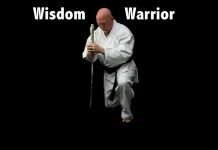 In September 2002 Sensei Fierro became an Adjunct Professor at Hofstra University where she taught an innovative program called Personal Development Through The Martial Arts. She also taught at Long Island University Karate Instructor program as Adjunct Professor. In the early 1970s Marilyn Fierro found herself pursuing a way of life that was supposed to be closed to women – the martial arts. She recently wrote a book where she tells her story of personal growth, spirituality, and achievement (both internally and externally). You will enjoy The Limitless Spirit of the Martial Arts. 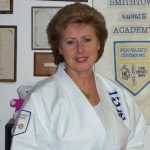 Hanshi Marilyn Fierro is the Chief Instructor at Smithtown Karate Academy. 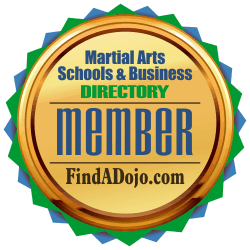 Smithtown Karate Academy on the Martial Arts Schools and Businesses Directory. For more information about Marilyn Fierro and Smithtown Karate Academy visit their website at http://smithtownkarate.com and their listing on the Martial Arts Schools and Businesses Directory by clicking on the image on the left.